I know there are people who claim black cats are bad luck, that we’re witches’ familiars, that you should never let us cross your path. I’m here to tell you, that’s a bunch of hooey. My name is Hitchcock, and I’m a perfectly friendly and harmless pure black cat. There are those in the Texas Hill Country who will refer to me as the Bad Luck Cat. Like there’s any such thing. Duh. There isn’t. And as far as being a familiar – the only thing I’m extremely familiar with is eating and sleeping. Like most every cat. I never even knew a witch. If I saw one streaking across the sky on a broom, I’d probably run and hide – same as you. Now that we have that craziness out of the way, let me tell you a little more about myself. I spent the better part of my life fending for myself and finding table scraps here and there. That was before I met Sabrina Tate. Yes, the soon-to-be-famous (in my humble cat opinion) mystery author, Sabrina Tate. She’s the one who named me Hitchcock shortly after I started sitting on her window sill and watching her write. She said I helped her with the suspense in her writing and that’s why she named me Hitchcock. Seems there was some dude with the same name who made some suspenseful movies. She could’ve named me Adam and I’d’ve been fine with that, so long as it meant I’d get to live with Sabrina in the Monte Carlo cottage at her Aunt Rowe’s Around-the-World cottages. In spite of living in one place these days, I still make the rounds pretty well. People who live nearby have gotten to know me. They watch out for me – just in case I’m trying to slip into their car or truck when they least expect it. The beauty of living at the cottages is there are always new people arriving to rent a cottage – new people who don’t expect me to hitchhike with them. Catching a ride’s the easiest way to make it into town, and who can expect a cat to sit around in the same spot all day long when there are mysteries to solve. Sabrina’s good, but without my help I’m not sure how quickly she could solve a crime. Not to mention she really needs someone to watch out for her and keep her safe. I’m her man – err, cat – and I don’t let her out of my sight for very long lest she head down a dangerous path. You can read more about us in the new Bad Luck Cat Mystery – The Black Cat Sees His Shadow – by Kay Finch. Kay’s a cat person from way back – beginning on a farm in Pennsylvania where she wrote mystery stories as a little girl and once had 17 cats at the same time. Later, she moved to Houston, Texas, where she joined a critique group with other “cat mystery” people you may know – Leann Sweeney and Miranda James. Kay wrote a lot of mysteries with her kitty, Alice, by her side. And the rest, as they say, is cat mystery history. What are the first things a young woman from the Pennsylvania countryside notices when she moves to Houston, Texas? The city is enormous. It sure is flat. It’s super hot – I moved here in July. Summer lasts a l…o…n…g time. The bugs – I won’t go into detail about them. People think in terms of time rather than miles – i.e. “How far is it to the Galleria?” “Oh, about forty-five minutes, longer in rush hour.” And then there’s the rodeo. The Houston Livestock Show & Rodeo is a huge production every year that rolls the chili cook-off, a carnival, livestock judging, a line-up of country-music stars, and the rodeo itself into one big extravaganza that lasts for weeks. My first rodeo experience, though, was a local small-town rodeo – one of the go-to tourist attractions whenever family from up north came to visit. I enjoyed watching children scrambling after calves, barrel racing, and especially the cattle herding dog who’d jump up on the hind quarters of a running horse like it was no big deal. Not so much the roping of animals or the bull riding. I’ve always been an animal lover, and I don’t want to see anything that could cause harm to an animal. Neither does Sabrina Tate in the second Bad Luck Cat mystery, The Black Cat Knocks on Wood. Sabrina prefers to stay in the fictional world of writing her mystery novels and spending time with Hitchcock, her black cat. She has the perfect spot for creating her stories, living on the banks of the Glidden River in the Texas Hill Country. Sabrina has to take time out to defend Hitchcock, though, since some people still insist on calling him the bad luck cat, and she always has to keep one eye on Aunt Rowe and her latest antics. When Sabrina learns that Aunt Rowe and her gal pals plan to perform in the Lavender Senior Pro Rodeo she feels certain the event is meant for former rodeo professionals who are now seniors – not for seniors who think performing would be a hoot. Before Sabrina can keep the stubborn seniors from mounting their steeds, she’s sidetracked by a bigger problem. An uppity local business owner is found dead in an accident – right after a black cat was seen in her office. People are quick to say the bad luck cat is involved, but Sabrina suspects there might be something more murderous afoot. With a twisted killer on the loose, she’ll have to round up clues quickly before she or her aunt are steered straight into the path of danger. Kay Finch grew up on a Pennsylvania farm, but she moved to Texas and discovered her favorite vacation spot, the Texas Hill Country. 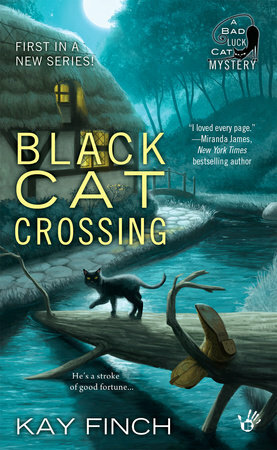 Kay is the author of the Bad Luck Cat Mysteries, including Black Cat Crossing and The Black Cat Knocks on Wood. 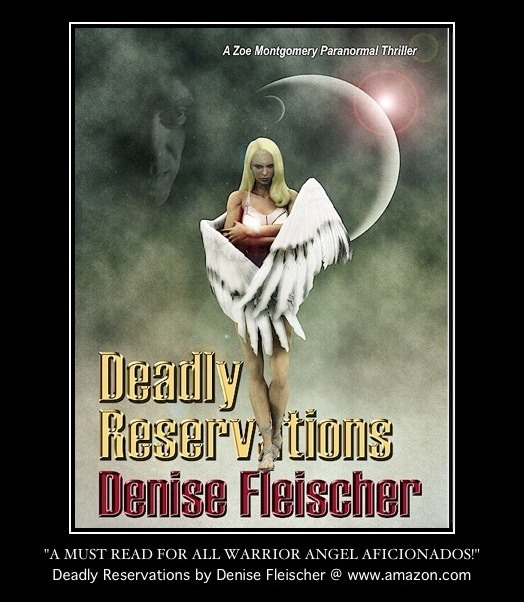 She’s a member of Mystery Writers of America, Sisters in Crime, and the State Bar of Texas Paralegal Division. Kay lives with her husband, a rescue cat, and two wild and crazy rescue dogs in a Houston suburb. Visit the author at kayfinch.com. This is one black cat you’ll be looking for!